I love big families. No seriously LOVE them. I also love these guys because they are my beautiful sister in law, brother in law and my nieces and nephews! How blessed is our family to have 2 beautiful girls and 3 handsome boys?! It's a bunch of fun at a household with built in playmates. One of the most important thing with booking a fall photography session is selecting the right date. You never really know for sure what the weather will do but can get a good idea depending on when the leaves were at their brightest the previous year. The Budins contacted me in April regarding their session so we could start planning. Perfection! Waiting last minute is never a good idea when you have specific requirements you would like to meet. For these guys they wanted this Montgomery family photographer to capture their family during the most colorful time of fall. I couldn't have been more excited in the weeks leading up to their session, I just knew we had pinpointed one of the best fall weekends. The leaves were orange, red, brown and green and perfectly represented a MN fall! As a Montgomery family photographer I always head to my sessions prior to the start to really scope out the best spots for lighting, coloring and scenery. When the Budin's arrived I had a full game plan in order (which is super important with 5 kids)! I knew the road was going to be a key location as the colorful trees would frame their family and the road would be a beautiful line straight to them. Turns out it was more difficult than anticipated as the road was busier than normal! I know this because I grew up down the road! It was worth the wait and this Montgomery family photographer loves making sure to get multiple family images as I know how stressful picture day is. My theory is: you worked hard to plan outfits, got everyone prepped and are dressed nice yourself. Get lots of the group! Afterall you can always get more of individuals quite easily but when you have more than a couple kids it's hard to get them all in one place and looking put together! This Montgomery family photographer has so many tricks up my sleeves its crazy! During a session I make the silliest sounds, do super goofy things and bribe like a mad woman. Yep. I bribe. I am all about teaching good lessons and helping children grow, but on picture day... anything goes! After piles of silly, lots of goofy sounds, gushers (for me too, I needed a snack!) and some dum dums this beautiful gallery remained. Well not quite. There is a ton of behind the scenes that happens on my end but look at this gorgeous gallery! My heart feels so happy to present my sister and brother in law with these images of their family. Love you all! 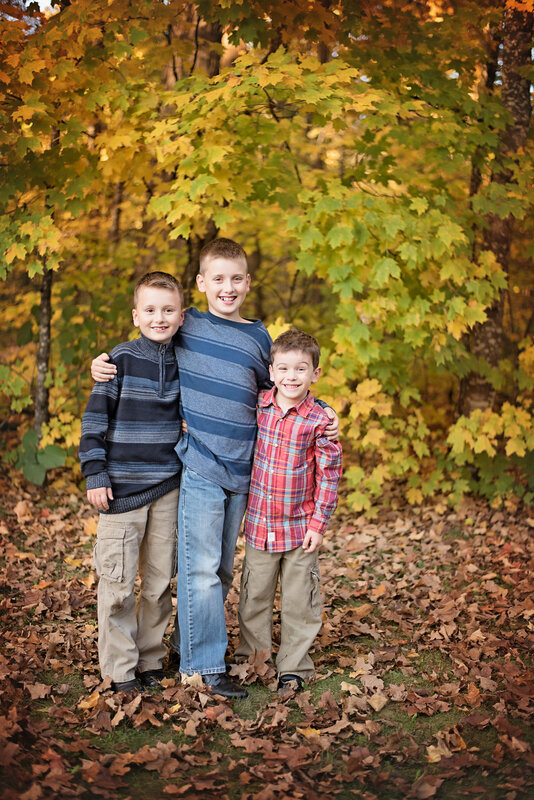 Amber Skluzacek is a Montgomery family photographer in the state of Minnesota. She is a full service family photographer that creates images and products that will be cherished forever. Her work focuses on using natural elements while posing families safely and beautifully.